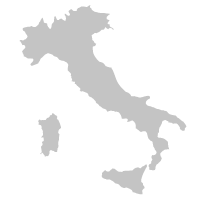 Holiday homes in Guardistallo (PI), Tuscany, Umbria, etc. You can here see 1 holiday homes, town houses, villas or holiday apartments in Tuscany, Umbria, etc..
Villa Elena, an old house divided in apartments for 2\4 and 4\6 persons, 2 swimming-pools, garden, barbecue , parking, restaurant, museum. 10 km from the Coast of the Etruscans. 6 persons Washing machine Pool Internet - Adsl Distance to the sea	: 10000 m.